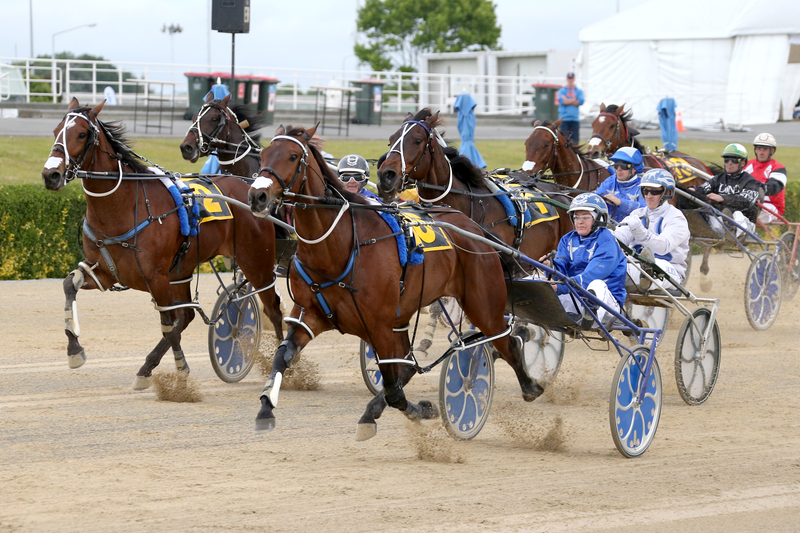 Cruz Bromac made it short-course Group 1 wins on either side of the Tasman in 2018 when victorious in Friday’s $200,000 Group 1 New Zealand Free For All at Addington. The New Zealand-bred pacer, who won Sydney’s Len Smith Mile in July, landed a sustained betting plunge with a front-running win over rookie stablemate Turn It Up. Just days after she won the New Zealand Cup, driver and co-trainer Natalie Rasmussen was back in the feature race winner’s circle having inherited the drive from training partner Mark Purdon with a bit of confidence. “Mark definitely thought he was very unlucky in the Cup and we knew he had a tonne of gate speed, so was going to be a strong chance today. “I didn’t think he had a tough run on Tuesday and he came through it quite fresh. Turn It Up, having just his seventh career start, was brave in running second after earlier being three-pegs behind the winner and Jack’s Legend. Purdon drove him and said he was “absolutely thrilled” with the performance. 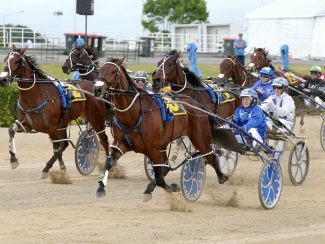 A possible Melbourne Inter Dominion tilt was likely off the table, Purdon preferring to head to Auckland instead. On Cruz Bromac, Purdon said he felt the horse could well have won the New Zealand Cup had he paced better down the straight, so today’s win was no surprise. “When I tried to angle him out, I did so a little bit quickly. The immediate future for Cruz Bromac was unclear, Rasmussen saying her and Purdon would like hold on the horse “for as long as we want to”, but a return to Australia would seen likely in the new year. Jack’s Legend capitalised on a trailing run to finish third – his second straight placing in the race – while Pat’s Delight worked home nicely for fourth ahead of Spankem. Earlier in the day, driver Terry Chmiel was taken to hospital with a broken ankle after being catapulted out of the sulky in a race fall.